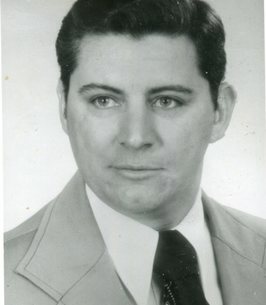 Bruce A. MacDowell, 76 years of Winchester, OH., passed away Tuesday, October 2, 2018 at his residence. Bruce was born June 15, 1942 in Coatesville, PA., the son of the late Edwin and Patricia (Bailey) MacDowell. Beside his parents, he was preceded in death by one son and daughter-in-law, Bruce Arthur and Sherry MacDowell, Jr., one brother, Terrence MacDowell. Bruce served his Country in the U.S. Marine Corp. during the Viet-Nam War. After his service to his Country, Bruce served God and Preached the Gospel for 50 years, 18 years as a Street Preacher and 28 years as the Pastor for Grace Bible Church in Sinking Spring, OH. Bruce had a passion for flying where he was a Flight Instructor at Hillsboro and West Union for several years. On June 7, 1969, Bruce was united in marriage to Sherry L. (McKinley) MacDowell whom survives. Beside his wife, Bruce is survived by two sons, Jeremy (Melanie) MacDowell of West Union, OH., Jonathan (Ashley) MacDowell of Hillsboro, OH. ; four daughters, Joanna (Chazz) Ward of Mason, OH., Jessica (Shaun) Cummins of Oxford, OH., Jennifer (Jerry Jr.) Buckamneer of Sardinia, OH., Julia (Ryan) Hiser of Winchester, OH. ; one brother, Edwin (Penny) MacDowell of Kanab, Utah; brother-in-law & sister-in-law, Larry and Denise Sininger of Cincinnati, OH. ; 24 grandchildren and 3 great grandchildren; several nieces, nephews and a host of friends. A Celebration of Life for Bruce will be held 2:00 P.M. Saturday, October 6, 2018 at the Southern State Community College Auditorium in Hillsboro. Family requests memorials to the Charity Rescue Mission, c/o Amazing Grace Baptist Church, P.O. Box 23221, Columbus, OH. 43223.
e Thompson Funeral Home and Cremation Services in Hillsboro is serving the family. To sign our online quest book, please visit us at www.thompsonfuneralhomes.com. 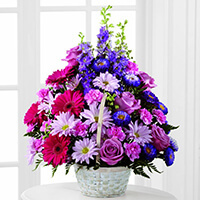 To send flowers to the family of Bruce A MacDowell, please visit our Heartfelt Sympathies Store. I remember Bruce when I was working for SPVMHC. He was volunteering at that time. He was a very kind man full of wisdom. Sorry for your loss. Didn’t know bro. Bruce personally very well but I loved his preaching and he was great friend to my old pastor Eric Brazelton, praying for Sherry and the rest of the family. Looking forward to that glad reunion day!! Dear MacDowell family, Please accept my deepest condolences for your loss. I know that as a preacher of the gospel, Bruce appreciated the promise found in Acts 24:15- “And I have hope toward God, which hope these men also look forward to, that there is going to be a resurrection...” Our God Jehovah promises that our loved ones will resurrect. And we can be sure of this promise.